The signal can still be pulled from the air for free with an antenna and a new TV or digital converter box. Thanks Pam for bringing this news story! Hello dear friends! 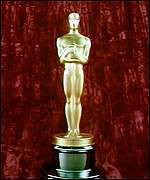 Here i am in Germany at 2.30 a.m. just starting to watch the Oscars ...thanky for the shared article, dear Pam! What a shame this had to happen! Thanks Pam for this story. ABC returned to broadcasting on Cablevision as soon as the Oscars were over. A lot of sour grapes out there. Mostly unemployed and retired, not to mention want to be actors and actresses. It's a world that we live in. We (the U.S.) created it. The world embraced it. The oscars were the best I've seen in years. A lot of humor. No real surprises, but still very nice viewing. Nothing much else was on. Thanks Pam, but I haven't watced this circus in years. I lived in Hollywood most of my adult life, I will not waste time watching the phony acceptance speeches and tired acts. New Hollywood is an empty vessel lacking substance and souless, run by physically altered people with high paying jobs. I do have to say though I'm shocked that Sandra Bullock and Mo'Nique won two very very talented ladies. I'm not unemployed or retired, nor am I a wanna be actress (lol), but I couldn't agree more with NE L. They are just acting, people; they are not saving the world. With the exception of 'The Cove' and the message of 'Avatar', the rest is shallow, boring and way past its use-by date. Too bad innocent people get caught up in a war between 2 corporations. It wouldn't hurt my feeling to miss the award show. I don't like people who flaunt their wealth.